After 300 years of witches living in secrecy, mysterious attacks have both threatened their survival and forced “gifted” girls to attend a school in New Orleans for protection. Wrapped in the turmoil is new arrival, Zoe, who harbours her own terrifying secret. Alarmed by the recent aggression, Fiona, the Supreme, is determined to protect the Coven at any cost. 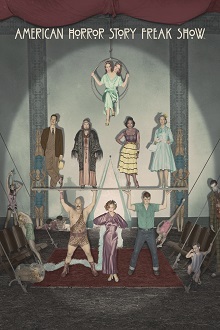 Starring Jessica Lange, Sarah Paulson, Emma Roberts, Evan Peters, Angela Bassett and Kathy Bates.